In keeping with the approach of Halloween, Professor Rowe’s talk will examine the best known outbreak of witchcraft in the United States. He will discuss the events in Massachusetts in 1692-1693 that resulted in nineteen executions and one pressing to death. He will also critically evaluate the various attempts to provide naturalistic explanations for this witchcraft outbreak (lying, ergotism, epidemica lethargica, village factionalism, ‘uppity women,’ and the stresses of protracted warfare). Professor Rowe will also present the impact of the Salem Witchcraft Trials on popular culture. He is a Fellow of the American Academy of Forensic Sciences and a former member of the editorial board of the Journal of Forensic Sciences. Professor Rowe is also a member of ASTM Committee E30, which sets standards (including educational standards) for a variety of forensic science disciplines. He is also a member of the American Society of Trace Evidence Examiners. Professor Rowe is a member of the Council of Forensic Educators and is a past president of that organization. 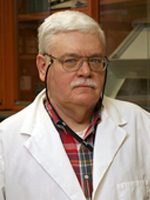 He has contributed chapters to monographs and textbooks in forensic science, including one of the two main textbooks used for undergraduate instruction in the field of forensic science. Weekend parking at the library is free.